Germany’s power plants listed add up to 132 MtCO2e. At the last count, the UK’s TOTAL emissions of CO only amounted to 363 MtCO2. In addition to those seven coal plants, Datteln 4 will open next year, with capacity of 1.1 GW and adding approximately an extra 10 MtCO2. Together with smaller coal plants, Germany’s coal power probably accounts for at least half of Britain’s emissions from all sources. No doubt Claire Perry has included this fact in her “good and productive chat” with the far left, anti capitalist rabble, Extinction Rebellion. Meanwhile, I hope all of you wicked, climate wreckers who go on holiday with Ryanair, who make 10th on the list. Perhaps next time you should ask George Cooney to lend you his private jet. This assumes that CO2 is a ‘pollutant’. I’m not a scientist but I thought that life on earth depends on it. Yes, and only 5%of the CO2 in the atmosphere is manmade. And Bertie is correct. Calling CO2 ‘pollution’ is agitprop. Using low-grade heat for local housing is a common practice in Europe. As fossil plants are closed or constrained to shorter operating hours there must be a lot of district heating systems which are losing their energy source…. Perhaps they keep them heated up like a giant inefficient central heating boiler. Arrenhius’s 19th century CO2 causation theory was discredited almost immediately and yet reinvented by Morris Strong and the UN in 1992 as the Communism v Capitalism smoking gun. Since then ice core samples from the Ordovician and Jurassic/ Suliman ice ages showed CO2 levels fourteen and eight times higher than today’s . The delicious irony here is that even though CO2 levels do not drive temperatures we have Germany as the biggest CO2 emitter. Don’t Germany have a ‘greenie coalition ‘ government? I enjoyed a laugh with my bacon sandwich this morning! Indeed the CO2 farce shows no signs of disappearing anytime soon. Germany is getting rid of its nuclear power stations and replacing them with coal-fired ones. It also wants to cut its ‘carbon emissions’ by a large amount. Does not compute. They must know that but have no viable plan. 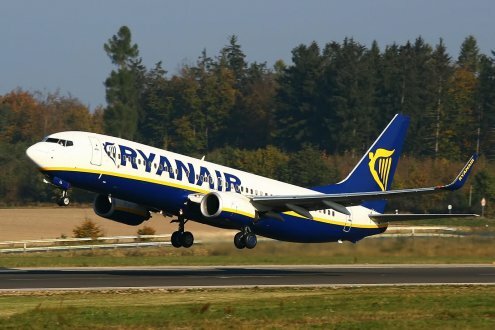 It’d be delicious if Ryanair offered cheap flights to the next COP. 10s of thousands fly to those gab-fests. I’ve been an avid contributor to Ryanair’s total for quite awhile, in fact I’ll be upping my total again in two weeks. While I doubt the slight increase in CO2 will cause apocalypsis, it is still prudent not to let carbon emissions get to big. In that respect Germany is far worse than Great Britain. 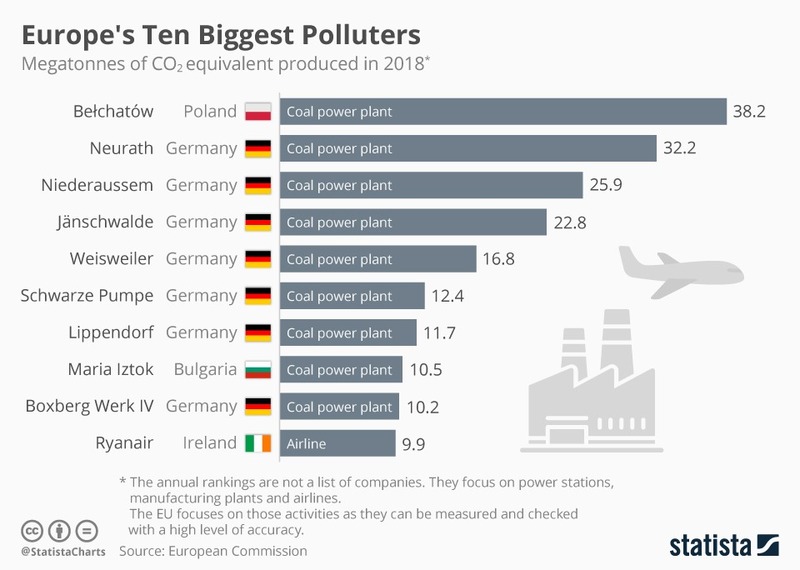 The main reason for this is that Germany is giving up nuclear power and therefore (and because of some local lobbies) clings on to coal as a source of energy on a relatively high level. The German “Energiewende” is a good example of what should not be done.